Blends Well With: Citrus oils, Rose, Jasmine, and Ylang Ylang. For a really luxurious blend, mix with Rose Absolute and Jasmine Absolute. This Neroli essential oil is diluted to a 5% solution in jojoba carrier/base oil solution to allow you to experience the aroma and healing properties of this wonderful oil. Of course, when you're ready, we have the pure, undiluted oil too. 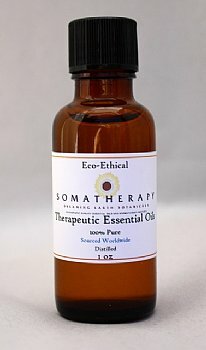 This beautiful floral oils soothes, relaxes and uplifts the spirit and helps build confidence. Neroli has an exquisite aroma and is an excellent skincare oil, perfect for mature, dry, sensitive skin and on scars and stretch marks. Neroli is used to relieve tension, stress and anxiety, and is helpful for performance anxiety (like stage fright). Purchase some of our 10ml Roll On Bottles (see Bottles and Jars), fill with our 5% solutions, and you'll have luxurious, all-natural perfume! Review: Neroli has been a big deal for centuries and it is quite expensive as well. However it is so potent that this diluted version is plenty effective in delivering the benefits and its great aroma. The quality of this company's products ensure that it is top notch.